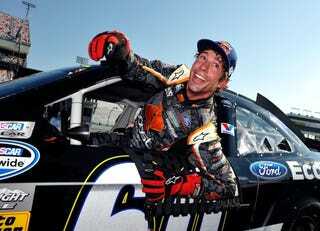 Travis Pastrana No Longer Racing In NASCAR. Citing a lack of sponsors, and results that weren't quite up to par, Travis Pastrana announced that he will be taking some time off, and will not be racing in NASCAR anymore. It's unclear what the future holds for Pastrana, other than spending more time with his family, but he did express a desire to race more in rally, and in off-road racing.